Glen Brittner [left] was found bound and beaten on Aug. 18, 2015, inside his residence, which also served as the business office for his company, Domestic Water Delivery, in the 26200 block of East Avenue W-8, authorities said. LLANO – Three years ago today, Glen Brittner passed away after living in a coma for 10 days. 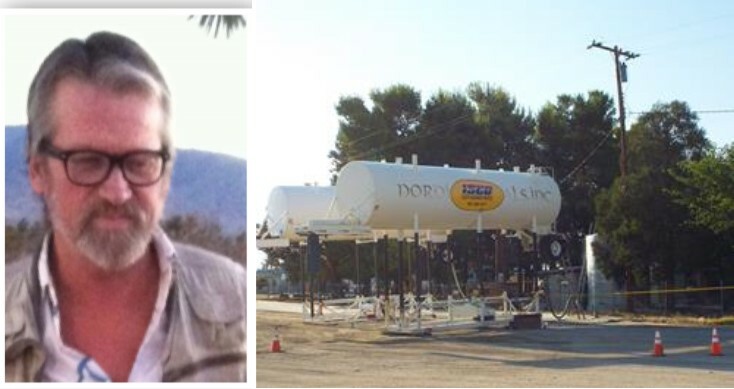 The beloved Antelope Valley business owner was beaten into the coma during a brutal home invasion robbery at his Llano residence. To this day, the murder remains unsolved. “We desperately need answers and to know why my father was killed,” stated Glen Brittner’s son, George. George and other family members are marking the three-year anniversary of Glen Brittner’s death with a public appeal for information. Sheriff’s officials believe at least two suspects were involved in Glen Brittner’s death. He was attacked Aug. 18, 2015, at his home, which also served as his business office, in the 26200 block of East Avenue W-8. An employee arriving to work at the company, Domestic Water Delivery, found Glen Brittner bleeding from a severe head wound with his hands and feet bound with zip-ties. The property was ransacked and about $2,000 was stolen, along with television sets and power tools, according to the Sheriff’s Department. Glen Brittner was unresponsive and unable to tell deputies what happened to him. He was airlifted to the hospital in critical condition and remained in a coma for 10 days until his death. “How could someone be so cowardly and vile as to attack and beat a nearly 60-year-old crippled man to death?” stated Gary Brittner. 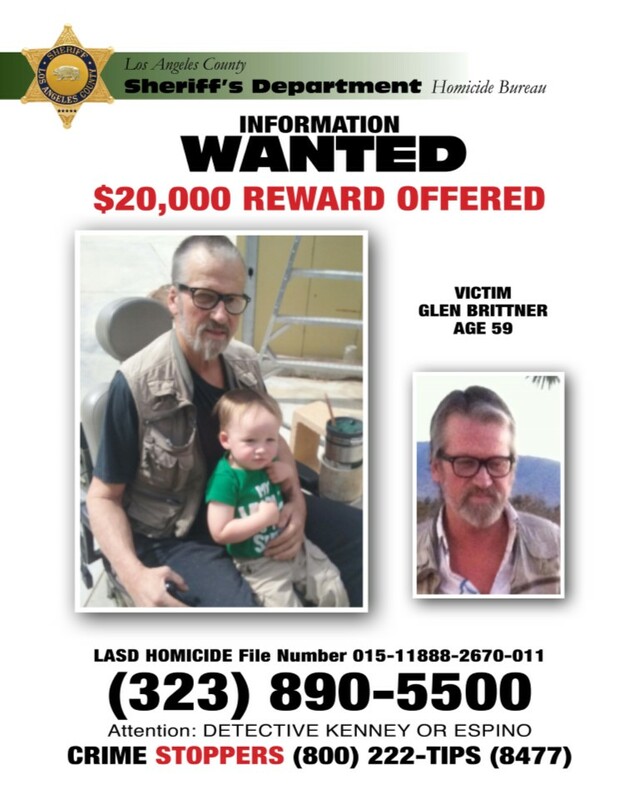 A $20,000 reward for help solving Glen Brittner’s murder has been offered by the Los Angeles County Board of Supervisors. Anyone with information on this crime is encouraged to call the Sheriff’s Homicide Bureau at 323-890-5500, or Crime Stoppers at (800) 222-TIPS. 1 comment for "Family makes public appeal on 3-year anniversary of business owner’s death"
Shared in Lake Elizabeth CA.